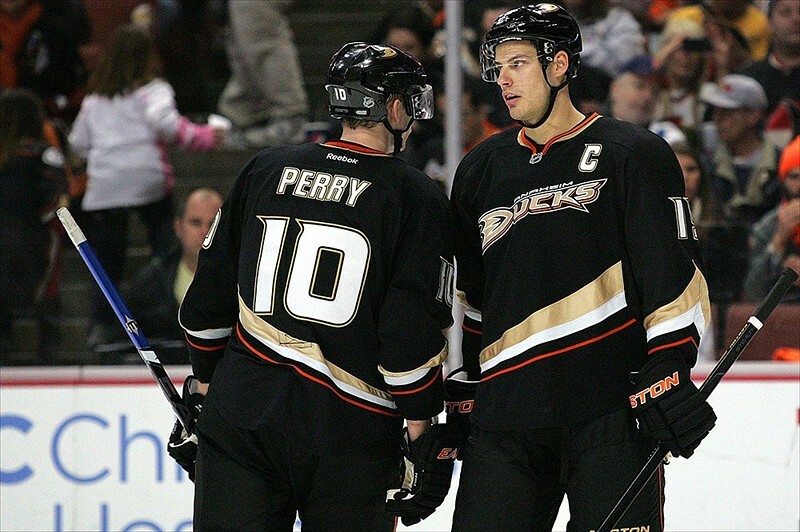 Finally, after their last stint being the ’08-’09 season, the Anaheim Ducks more than just survived the season; they won the Pacific Division. As always, the seeding in the West wasn’t decided until all teams in the conference played their season outright. The outcome of the rankings should’ve been seen more clearly even prior to the regular season’s end as once again, history had repeated itself. Once the dust had fallen and the seeding was etched in stone, the Ducks were matched up with the Detroit Red Wings; again. This postseason marks the eighth time that Anaheim has made it this far and the sixth time they have had a showdown against the Wings. Since the 1997 playoffs, no other two clubs have met in the postseason more than Anaheim and Detroit. It was 10 years ago that the then Mighty Ducks squared off with the then Mighty Red Wings in the Conference Finals only to lose in game 7 of the Cup Finals to the New Jersey Devils. Though the two teams meet again, their roles have certainly reversed. The Mighty Ducks’ coach in ’03, Mike Babcock, left Anaheim after taking them to the Finals and went to Detroit where he still stands behind the bench til this day. He is mainly the only familiar face from that series besides some veterans on both teams. Back then, the Red Wings weren’t a force to be reckoned with. They had a surplus of talent on their roster with all-stars Nicklas Lidstrom, Steve Yzerman, Brendan Shanahan donning their crest. Now with a somewhat depleted roster and a season of battling injuries, Detroit isn’t what they used to be. Tables have turned and now it is the Ducks who can roll out four lines, have a scoring sheet that’s more evenly spread out, have vastly improved their special teams whereas the Wings have remained in the middle of the pack , they have two strong goaltenders between the pipes and a coach, Bruce Boudreau, who has been reeking with success since his move to Anaheim last season. Don’t get me wrong, I was dreading a matchup against the Wings, but this time I’m a little more at ease. Now the Ducks have some more firing power, but that’s if they Wings don’t get the best of them. Detroit has Anaheim’s number this season and the last time these two met in March, it was an emotion bit from the Ducks’ standpoint. Unfortunately, unlike the NBA, the NHL playoffs are unpredictable and the best looking roster on paper doesn’t aways triumph.